Mark Lancaster TD MP, Minister of Defence Personnel, Veterans and Welfare, visited HQBG on 26 May 16. 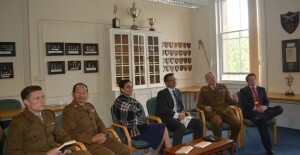 He was welcomed by Colonel James Robinson, Colonel Brigade of Gurkhas, who briefed him on the current Brigade, its history, laydown and dispositions as well as plans for future growth. Mr Damian Paterson, Head Army Secretariat, was also in attendance. Mark Lancaster was first elected as MP for Milton Keynes North in 2005. 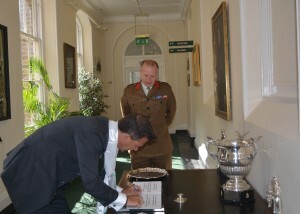 Shortly after his re-election in 2010 he was appointed as the Parliamentary Private Secretary (PPS) to the Secretary of State for International Development. In September 2012 he became a government minister when he was made a Lord Commissioner of Her Majesty’s Treasury before being appointed to his current role in May 2015. 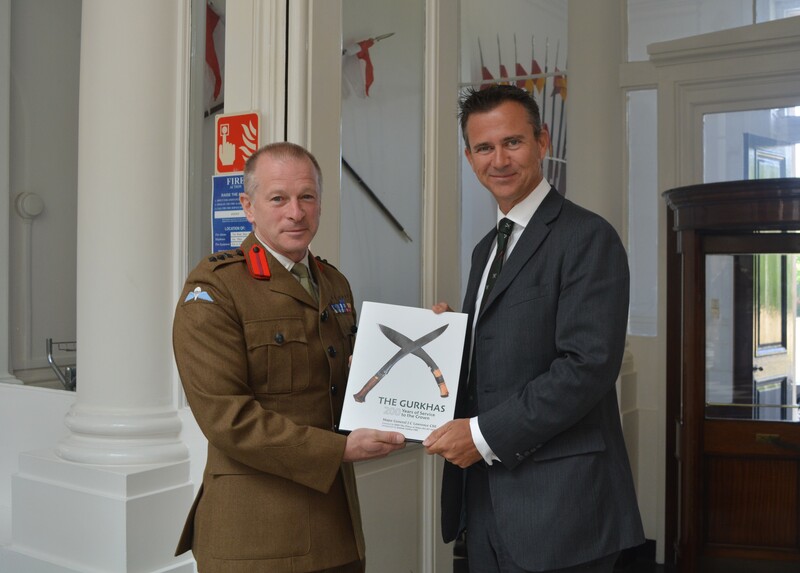 Mark Lancaster’s connection with the military began in 1998 when he served with Queen’s Gurkha Engineers in Hong Kong on an extended gap year commission. 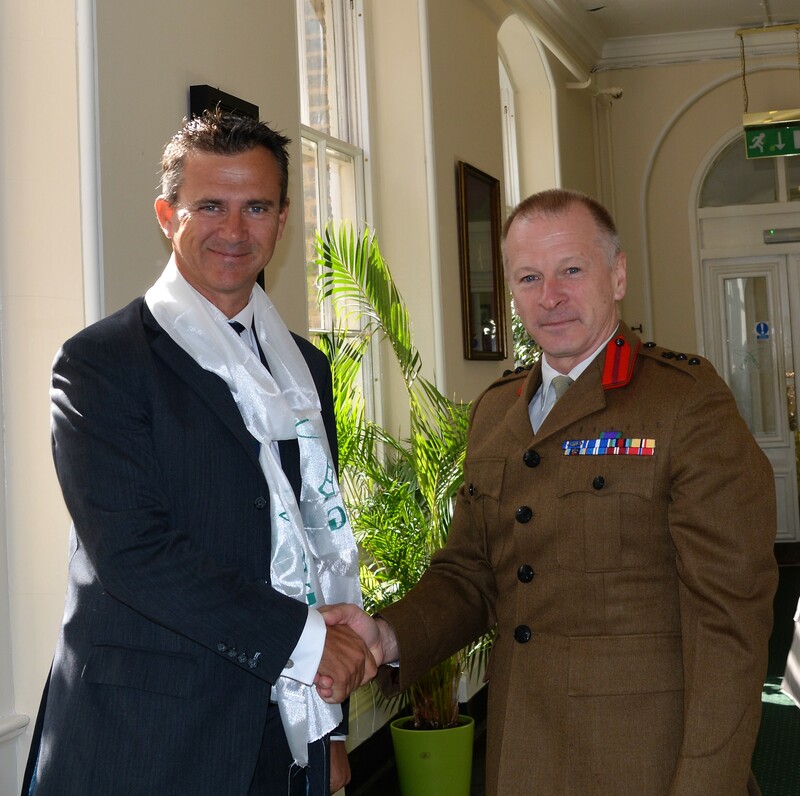 He transferred his commission to the Army Reserves and is now a Lieutenant Colonel in the Royal Engineers who, as a qualified EOD operator, has completed three operational tours; in Kosovo, Bosnia (with 2 RGR) and Afghanistan.